Ferruccio Busoni (1 April 1866 – 27 July 1924) was an Italian composer, pianist, conductor, editor, writer, and teacher. His international career and reputation led him to work closely with many of the leading musicians, artists and literary figures of his time, and he was a sought-after keyboard instructor and a teacher of composition. From an early age, Busoni was an outstanding if sometimes controversial pianist. He studied at the Vienna Conservatory and then with Wilhelm Mayer and Carl Reinecke. After brief periods teaching in Helsinki, Boston, and Moscow, he devoted himself to composing, teaching, and touring as a virtuoso pianist in Europe and the United States. His writings on music were influential, and covered not only aesthetics but considerations of microtones and other innovative topics. He was based in Berlin from 1894 but spent much of World War I in Switzerland. He began composing in his early years in a late romantic style, but after 1907, when he published his Sketch of a New Esthetic of Music, he developed a more individual style, often with elements of atonality. His visits to America led to interest in North American indigenous tribal melodies which were reflected in some of his works. His compositions include works for piano, among them a monumental Piano Concerto, and transcriptions of the works of others, notably Johann Sebastian Bach (published as the Bach-Busoni Editions). He also wrote chamber music, vocal and orchestral works, and operas—one of which, Doktor Faust, he left unfinished when he died, in Berlin, at the age of 58. 1.3 Berlin, 1893–1913: "A new epoch"
Ferruccio Dante Michelangiolo Benvenuto[i] was born on 1 April 1866 in the Tuscan town of Empoli, the only child of two professional musicians, Ferdinando, a clarinettist, and Anna (née Weiss), a pianist. 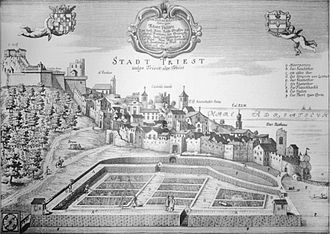 Shortly afterwards, the family moved to Trieste. A child prodigy, largely taught by his father, he began performing and composing at the age of seven. In an autobiographical note he comments "My father knew little about the pianoforte and was erratic in rhythm, so he made up for these shortcomings with an indescribable combination of energy, severity and pedantry." Busoni made his public debut as a pianist in a concert with his parents at the Schiller-Verein in Trieste on 24 November 1873 playing the first movement of Mozart's Sonata in C Major, and pieces by Schumann and Clementi. Commercially promoted by his parents in a series of further concerts, Busoni later said of this period, "I never had a childhood." In 1875, he made his concerto début playing Mozart's Piano Concerto No. 24. From the ages of nine to eleven, with the help of a patron, Busoni studied at the Vienna Conservatory. His first performances in Vienna were glowingly received by the critic Eduard Hanslick. In 1877, Busoni heard the playing of Franz Liszt, and was introduced to the composer, who admired his skill. In the following year, Busoni composed a four-movement concerto for piano and string quartet. 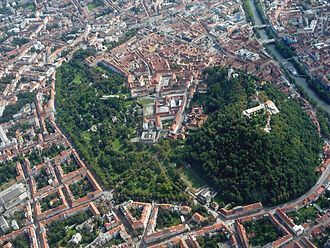 After leaving Vienna, he had a brief period of study in Graz with Wilhelm Mayer, and conducted a performance of his own composition Stabat Mater, Op. 55 in the composer's initial numbering sequence, (BV 119, now lost) in 1879. Other early pieces were published at this time, including settings of Ave Maria (Opp. 1 and 2; BV 67) and some piano pieces. He was elected in 1881 to the Accademia Filharmonica of Bologna, the youngest person to receive this honour since Mozart. In the mid 1880s, Busoni was based in Vienna where he met with Karl Goldmark and helped to prepare the vocal score for the latter's 1886 opera Merlin. 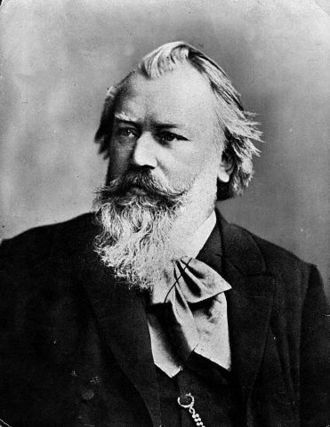 He also met Johannes Brahms, to whom he dedicated two sets of piano Études, and who recommended him to undertake study in Leipzig with Carl Reinecke. During this period, Busoni supported himself by giving recitals, and also by the financial support of a patron, the Baronin von Tedesco. He also continued to compose, and made his first attempt at an opera, Sigune, which he worked on from 1886 to 1889 before abandoning it. He described how, finding himself penniless in Leipzig, he appealed to the publisher Schwalm to take his compositions. Schwalm demurred, but said he would commission a fantasy on Peter Cornelius's opera The Barber of Baghdad for fifty marks down, and a hundred on completion. The next morning, Busoni turned up at Schwalm's office, and asked for 150 marks, handing over the completed work, and saying "I worked from nine at night to three thirty, without a piano, and not knowing the opera beforehand." In 1888, the musicologist Hugo Riemann recommended Busoni to Martin Wegelius, director of the Institute of Music at Helsingfors (now Helsinki, Finland, then part of the Russian Empire), for the vacant position of advanced piano instructor. This was Busoni's first permanent post. Amongst his close colleagues and associates there were the conductor and composer Armas Järnefelt, the writer Adolf Paul, and the composer Jean Sibelius, with whom he struck up a continuing friendship. Paul described Busoni at this time as "a small, slender Italian with chestnut beard, grey eyes, young and gay, with ... a small round cap perched proudly on his thick artist's curls". Between 1888 and 1890, Busoni gave about thirty piano recitals and chamber concerts in Helsingfors; amongst his compositions at this period were a set of Finnish folksongs for piano duet (Op. 27). In 1889, visiting Leipzig, he heard a performance on the organ of Bach's Toccata and Fugue in D minor (BWV 565), and was persuaded by his pupil Kathi Petri—the mother of his future pupil Egon Petri, then only five years old—to transcribe it for piano. Busoni's biographer Edward Dent writes that "This was not only the beginning of [his] transcriptions, but ... the beginning of that style of pianoforte touch and technique which was entirely [Busoni's] creation." Returning to Helsingfors, in March of the same year Busoni met his future wife, Gerda Sjöstrand, the daughter of the Swedish sculptor Carl Eneas Sjöstrand, and proposed to her within a week. He composed Kultaselle ("To the Beloved") for cello and piano for her (BV 237; published in 1891 without an opus number). In 1890, Busoni published his first edition of Bach works: the two- and three-part Inventions. In the same year he won the prize for composition, with his Konzertstück ("Concert Piece") for piano and orchestra Op. 31a (BV 236), at the first Anton Rubinstein Competition, initiated by Anton Rubinstein himself at the St. Petersburg Conservatory. As a consequence he was invited to visit and teach at the Moscow Conservatoire. Gerda joined him in Moscow where they promptly married. His first concert in Moscow, when he performed Beethoven's Emperor Concerto, was warmly received. But living in Moscow did not suit the Busonis for both financial and professional reasons; he felt excluded by his nationalistically inclined Russian colleagues. So when Busoni received an approach from William Steinway to teach at the New England Conservatory of Music in Boston, he was happy to take the opportunity, particularly since the conductor of the Boston Symphony Orchestra at that time was Arthur Nikisch, whom he had known since 1876 when they performed together at a concert in Vienna. Busoni's first son, Benvenuto (known as Benni), was born in Boston in 1892, but Busoni's experience at New England Conservatory proved unsatisfactory. After a year he resigned from the Conservatory and launched himself into a series of recitals across the Eastern US. Berlin, 1893–1913: "A new epoch"
Cartoon by Busoni of his 1904 US tour, drawn for his wife: "Map of the West of the United States showing the long and dolorous Tour, the anti-sentimental journey of F.B., 1904, Chicago"
Busoni was at the Berlin premiere of Giuseppe Verdi's opera Falstaff in April 1893. The result was to force on him a re-evaluation of the potential of Italian musical traditions which he had so far ignored in favour of the German traditions, and in particular the models of Brahms and the orchestral techniques of Liszt and Wagner. Busoni immediately began to draft an adulatory letter to Verdi (which he never summoned the courage to send), in which he addressed him as "Italy's leading composer" and "one of the noblest persons of our time", and in which he explained that "Falstaff provoked in me such a revolution of spirit that I can ... date the beginning of a new epoch in my artistic life from that time." In 1894, Busoni settled in Berlin, which he henceforth regarded as his home base, except during the years around World War I. His had earlier felt unsympathetic toward the city: in an 1889 letter to Gerda he had described it as "this Jewish city that I hate, irritating, idle, arrogant, parvenu". [ii] The city was swiftly growing in population and influence during this period and determined to stake itself as the musical capital of the united Germany, but as Busoni's friend the English composer Bernard van Dieren pointed out, "international virtuosi who for practical reasons chose Berlin as their abode were not so much concerned with questions of prestige", and for Busoni the city's development as "the centre of the musical industry [was to] develop an atmosphere which [Busoni] detested more than the deepest pool of stagnant convention". Berlin proved an excellent base for Busoni's European tours. As in the previous two years in the USA, the composer had to depend for his living on exhausting but remunerative tours as a piano virtuoso; in addition at this period he was remitting substantial amounts to his parents, who continued to depend on his income. Busoni's programming and style as a recitalist initially raised concerns in some of Europe's musical centres. His first concerts in London, in 1897, met with mixed comments. The Musical Times reported that he "commenced in a manner to irritate the genuine amateurs [i.e. music-lovers] by playing a ridiculous travesty of one of Bach's masterly Organ Preludes and Fugues, but he made amends by an interpretation of Chopin's Studies (Op. 25) which was of course unequal but, on the whole, interesting". In Paris, the critic Arthur Dandelot commented "this artist has certainly great qualities of technique and charm", but strongly objected to his addition of chromatic passages to parts of Liszt's St. François de Paule marchant sur les flots. Busoni's international reputation rose swiftly, and he frequently performed in Berlin and other European capitals and regional centres (including Manchester, Birmingham, Marseilles, Florence, and many German and Austrian cities) throughout this period, as well as returning to America for four visits between 1904 and 1915. This journeying life led van Dieren to call him "a musical Ishmael" (after the Biblical wanderer). The musicologist Anthony Beaumont considers Busoni's six Liszt recitals in Berlin of 1911 as the climax of his pre-war career as a pianist. Busoni's performing commitments somewhat stifled his creative capacity during this period: in 1896 he wrote "I have great success as a pianist, the composer I conceal for the present." His monumental Piano Concerto (whose five movements last over an hour and include an offstage male chorus) was written between 1901 and 1904. In 1904 and 1905, the composer wrote his Turandot Suite as incidental music for Carlo Gozzi's play of the same name. 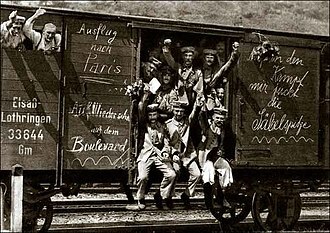 A major project undertaken at this time was the opera Die Brautwahl, based on a tale by E. T. A. Hoffmann, first performed (to a lukewarm reception) in Berlin in 1912. Busoni also began to produce solo piano works which clearly revealed a more mature style, including the Elegies (BV 249; 1907), the suite An die Jugend (BV 252; 1909) and the first two piano sonatinas, BV 257 (1910) and BV 259 (1912). In a series of orchestral concerts in Berlin between 1902 and 1909, both as pianist and conductor, Busoni particularly promoted contemporary music from outside Germany (though he avoided contemporary music, except for his own, in his solo recitals). The series, which was held at the Beethovensaal (Beethoven Hall), included German premieres of music by Edward Elgar, Sibelius, César Franck, Claude Debussy, Vincent D'Indy, Carl Nielsen and Béla Bartók. The concerts also included premieres of some of Busoni's own works of the period, among them, in 1904, the Piano Concerto, in which he was the soloist under conductor Karl Muck; in 1905, his Turandot Suite, and, in 1907, his Comedy Overture. Music of older masters was included, but sometimes with an unexpected twist. For example, Beethoven's Third Piano Concerto with the eccentric first movement cadenza by Charles-Valentin Alkan (which includes references to Beethoven's Fifth Symphony). The concerts aroused much publicity but generated aggressive comments from critics. Couling suggests the programming of the concerts was "generally regarded as a provocation". During the period Busoni undertook teaching at masterclasses at Weimar, Vienna and Basel. In 1900 he was invited by Duke Karl-Alexander of Weimar to lead a masterclass for fifteen young virtuosi. This concept was more amenable to Busoni than teaching formally in a Conservatory: the twice-weekly seminars were successful and were repeated in the following year. Pupils included Maud Allan, who later became famous as a dancer and remained a friend. His experience in Vienna in 1907 was less satisfactory, although amongst his more rewarding pupils were Ignaz Friedman, Leo Sirota, Louis Gruenberg, Józef Turczyński and Louis Closson; the latter four were dedicatees of pieces in Busoni's 1909 piano album An die Jugend. But arguments with the Directorate of the Vienna Conservatoire, under whose auspices the classes were held, soured the atmosphere. In the autumn of 1910 Busoni gave masterclasses and also carried out a series of recitals in Basel. In the years before World War I, Busoni steadily extended his contacts in the art world in general as well as amongst musicians. Arnold Schoenberg, with whom Busoni had been in correspondence since 1903, settled in Berlin in 1911 partially as a consequence of Busoni lobbying on his behalf. 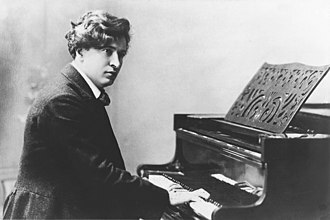 In 1913 Busoni arranged at his own apartment a private performance of Schoenberg's Pierrot Lunaire which was attended by, amongst others, Willem Mengelberg, Edgard Varèse, and Artur Schnabel. In Paris in 1912 Busoni had meetings with Gabriele D'Annunzio who proposed collaboration in a ballet or opera. He also met with the Futurist artists Filippo Marinetti and Umberto Boccioni. Following a series of concerts in Northern Italy in spring 1913, Busoni was offered the directorship of the Liceo Rossini in Bologna. He had recently moved to an apartment in Viktoria-Luise-Platz in Schöneberg, Berlin, but took up the offer, intending to spend his summers in Berlin. The posting proved unsuccessful. 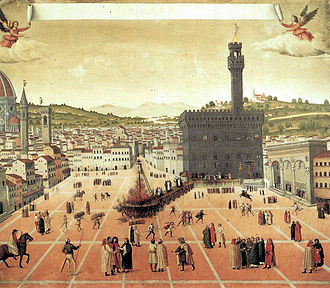 Bologna was a cultural backwater, despite occasional visits from celebrities such as Isadora Duncan. Busoni's piano pupils were untalented, and he had constant arguments with the local authorities. After the outbreak of World War I, in August 1914, he asked for a year of absence to play an American tour; in fact he was never to return. Virtually his sole permanent achievement at the school was to have modernized its sanitary facilities. He had however during this time composed another concertante work for piano and orchestra, the Indian Fantasy. The piece is based on melodies and rhythms from various American Indian tribes; Busoni derived them from a book he had received from his former pupil, the ethnomusicologist Natalie Curtis Burlin during his 1910 tour of the USA. The work was premiered with Busoni as soloist in March 1914, in Berlin. From June 1914 to January 1915, Busoni was in Berlin. As a native of a neutral country (Italy) living in Germany, Busoni was not greatly concerned, at first, by the outbreak of war. During this period, he began to work seriously on the libretto for his proposed opera Doktor Faust. In January 1915 he left for a concert tour of the USA, which was to be his last visit there. During this time he continued work on his Bach edition, including his version of the Goldberg Variations. 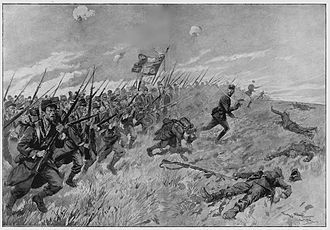 Upon the composer's return to Europe, Italy had entered the war. Busoni therefore chose to base himself from 1915 in Switzerland. In Zürich, he found local supporters in Volkmar Andreae (conductor of the Tonhalle Orchestra) and Philipp Jarnach. His friend José Vianna da Motta also taught piano in Geneva at this time. Andreae arranged for Busoni to give concerts with his orchestra. Jarnach, who was 23 when he met Busoni, in 1915, became Busoni's indispensable assistant, among other things preparing piano scores of his operas; Busoni referred to him as his famulus. While in America, Busoni had carried out further work on Doktor Faust, and had written the libretto of his one-act opera Arlecchino. He completed it in Zürich and, to provide a full evening at the theatre, reworked his earlier Turandot into a one-act piece. The two were premiered together in Zürich in May 1917. In Italy in 1916, Busoni met again with the artist Boccioni, who painted his portrait; Busoni was deeply affected when a few months later Boccioni was killed (in a riding accident) whilst on military training, and published an article strongly critical of war. An expanded re-issue of Busoni's 1907 work A New Esthetic of Music let to a virulent counter-attack from the German composer Hans Pfitzner and an extended war of words. Busoni continued to experiment with microtones: in America he had obtained some harmonium reeds tuned in third-tones, and he claimed that he "had worked out the theory of a system of thirds of tones in two rows, each separated from each other by a semitone". Although he met with many other artistic personalities also based in Switzerland during the war (including Stefan Zweig, who noted his extensive drinking, and James Joyce), Busoni soon found his circumstances limiting. After the end of the war, he again undertook concert tours in England, Paris and Italy. In London, he met with the composer Kaikhosru Sorabji who played his Second Piano Sonata for him (he had dedicated it to Busoni). Busoni was sufficiently impressed to write a letter of recommendation for Sorabji. When Busoni's former pupil Leo Kestenberg, by then an official at the Ministry of Culture in the German Weimar Republic, invited him to return to Germany with the promise of a teaching post and productions of his operas, he was very glad to take the opportunity. In 1920, Busoni returned to the Berlin apartment at Viktoria-Luise-Platz 11, Berlin-Schöneberg that he had left in 1915. His health began to decline, but he continued to give concerts. His main concern was to complete Doktor Faust, the libretto of which had been published in Germany in 1918. In 1921 he wrote "Like a subterranean river, heard but not seen, the music for Faust roars and flows continually in the depths of my aspirations". Berlin was the heart of the musical world of the Weimar Republic. Busoni's works, including his operas, were regularly programmed. Health permitting, he continued to perform; problems of hyperinflation in Germany meant that he needed to undertake tours of England. His last appearance as a pianist was in Berlin in May 1922, playing Beethoven's Emperor Concerto. Among his composition pupils in Berlin were Kurt Weill, Wladimir Vogel, and Robert Blum, and during these last years Busoni also had contact with Varèse, Stravinsky, the conductor Hermann Scherchen, and others. Busoni died in Berlin on 7 July 1924, officially from heart failure, although inflamed kidneys and overwork also contributed to his death. Doktor Faust remained unfinished at his death and was premiered in Berlin in 1925, completed by Jarnach. Busoni's Berlin apartment was destroyed in an air-raid in 1943, and many of his possessions and papers were lost or looted. A plaque at the site commemorates his residence. Busoni's wife, Gerda, died in Sweden in 1956. Their son Benni, who, despite his American nationality had lived in Berlin throughout World War II, died there in 1976. Their second son Lello, an illustrator, died in New York in 1962. Busoni at the piano, from a postcard produced c. 1895–1900. Fellow-pianist Alfred Brendel opined of Busoni's playing that it "signifies the victory of reflection over bravura" after the more flamboyant era of Liszt. He cites Busoni himself: "Music is so constituted that every context is a new context and should be treated as an 'exception'. The solution of a problem, once found, cannot be reapplied to a different context. Our art is a theatre of surprise and invention, and of the seemingly unprepared. The spirit of music arises from the depths of our humanity and is returned to the high regions whence it has descended on mankind." Sir Henry Wood was surprised to hear Busoni playing, with two hands in double octaves, passages in a Mozart concerto written as single notes. At this, Donald Tovey proclaimed Busoni "to be an absolute purist in not confining himself strictly to Mozart's written text", that is, that Mozart himself could have taken similar liberties. The musicologist Percy Scholes wrote that "Busoni, from his perfect command over every means of expression and his complete consideration of every phrase in a composition to every other phrase and to the whole, was the truest artist of all the pianists [I] had ever heard." Busoni's works include compositions, adaptations, transcriptions, recordings and writings. Busoni gave many of his works opus numbers; some numbers apply to more than one work (after the composer dropped some of his earlier works from his acknowledged corpus). Furthermore, not all the composer's numbers are in temporal order. The musicologist Jürgen Kindermann has prepared a thematic catalogue of his works and transcriptions which is also used, in the form of the letters BV (for Busoni Verzeichnis ("Busoni Index"); sometimes the letters KiV for Kindermann Verzeichnis are used) followed by a numeric identifier, to identify his compositions and transcriptions. The identifier B (for Bearbeitung, "arrangement") is used for Busoni's transcriptions and cadenzas. For example, BV B 1 refers to Busoni's cadenzas for Beethoven's Piano Concerto No. 4. In 1917, Hugo Leichtentritt suggested that the Second Violin Sonata Op. 36a (BV 244), completed in 1900, "stands on the border-line between the first and second epochs of Busoni", although van Dieren asserts that in conversation Busoni "made no such claims for any work written before 1910. This means that he dated his work as an independent composer from the piano pieces An die Jugend ... and the Berceuse in its original version for piano." (These works were actually written in 1909.) The Kindermann Busoni Verzeichnis lists over 200 compositions in the period to 1900, which are met with very rarely in the contemporary repertoire or in recording, mostly featuring piano, either as solo instrument or accompanying others, but also including some works for chamber ensemble and some for orchestra, amongst them two large-scale suites and a violin concerto. Antony Beaumont notes that Busoni wrote virtually no chamber music after 1898 and no songs between 1886 and 1918, commenting that this was "part of the process of freeing himself from his Leipzig background ... [evoking] worlds of middle-class respectability in which he was not at home, and [in which] the shadows of Schumann, Brahms and Wolf loomed too large." The first decade of the 20th century is described by Brendel as being for Busoni "a creative pause" after which he "finally gained an artistic profile of his own" as opposed to the "easy routine which had kept his entire earlier production on the tracks of eclecticism". During this period, Busoni wrote his Piano Concerto, one of the largest such works he ever wrote in terms of duration and resources. Dent comments "In construction [the Concerto] is difficult to analyse ... on account of the way in which themes are transferred from movement to another. The work has to be considered as a whole, and Busoni always desired it to be played straight through without interruption." The press reaction to the premiere of the concerto was largely one of outrage: the Tägliche Rundschau [de] complained of "Noise, more noise, eccentricity and licentiousness", while another journal opined that "the composer would have done better to stay within more modest boundaries". The other major work during this "creative pause" was the Turandot Suite. Busoni employed motifs from Chinese and other oriental music in the suite, though, as Leichtentritt points out, the Suite is "in fact the product of an Occidental mind, for whom the exact imitation of the real Chinese model would always be unnatural and unattainable ... the appearance is more artistic than the real thing would be." The suite was first performed as a purely musical item in 1905; it was used in a production of the play in 1911, and was eventually transformed into a two-act opera in 1917. For broader coverage of this topic, see Bach-Busoni Editions. 1894 saw the publication in Berlin of the first part of Busoni's edition of the music of Johann Sebastian Bach for the piano; the first book of The Well-Tempered Clavier. This was equipped with substantial appendices, including one "On the Transcription of Bach's Organ Works for the Pianoforte". This was eventually to form a volume of the Bach-Busoni Edition, an undertaking which was to extend over thirty years. Seven volumes were edited by Busoni himself; these included the 1890 edition of the Two- and Three-Part Inventions. [iii] Busoni also began to publish his concert piano transcriptions of Bach's music, which he often included in his own recitals. These included some of Bach's chorale preludes for organ, the organ Toccata and Fugue in D minor, and the Chromatic Fantasia and Fugue. These transcriptions go beyond literal reproduction of the music for piano and often involve substantial recreation, although never straying from the original rhythmic outlines, melody notes and harmony. This is in line with Busoni's own concept that the performing artist should be free to intuit and communicate his divination of the composer's intentions. Busoni adds tempo markings, articulation and phrase markings, dynamics and metronome markings to the originals, as well as extensive performance suggestions. In his edition of Bach's Goldberg Variations (BV B 35), for example, he suggests cutting eight of the variations for a "concert performance", as well as substantially rewriting many sections. Kenneth Hamilton comments that "the last four variations are rewritten as a free fantasy in a pianistic style which owes far more to Busoni than to Bach." On the death of his father in 1909, Busoni wrote in his memory a Fantasia after J. S. Bach (BV 253); and in the following year came his extended fantasy based on Bach, the Fantasia Contrappuntistica. Busoni wrote a number of essays on music. The Entwurf einer neue Ästhetike der Tonkunst (Sketch of a New Esthetic of Music), first published in 1907, set out the principles underlying his performances and his mature compositions. A collection of reflections which are "the outcome of convictions long held and slowly matured", the Sketch asserts that "The spirit of an artwork ... remains[s] unchanged in value through changing years" but its form, manner of expression, and the conventions of the era when it was created, "are transient and age rapidly". The Sketch includes the maxim that "Music was born free; and to win freedom is its destiny". It therefore takes issue with conventional wisdom on music, caricatured by Busoni as the constricting rules of the "lawgivers". It praises the music of Beethoven and JS Bach as the essence of the spirit of music ("Ur-Musik") and says that their art should "be conceived as a beginning, and not as an unsurpassable finality." Busoni asserts the right of the interpreter vis-à-vis the purism of the "lawgivers". "The performance of music, its emotional interpretation, derives from those free heights whence descended Art itself ... What the composer's inspiration necessarily loses through notation, his interpreter should restore by his own." He envisages a future music that will include the division of the octave into more than the traditional 12 semitones. However, he asserted the importance of musical form and structure: His idea of a 'Young Classicism'[iv] "aimed to incorporate experimental features in "firm, rounded forms" ... motivated each time by musical necessity." (Brendel). Another collection of Busoni's essays was published in 1922 as Von der Einheit der Musik, later republished as Wesen und Einheit der Musik, and in 1957 translated as The Essence of Music. Busoni also wrote the librettos of his four operas. Writing in 1917, Hugo Leichtentritt described Busoni's mature style as having elements in common with those of Sibelius, Debussy, Alexander Scriabin, and Schoenberg, noting in particular his movement away from traditional major and minor scales towards atonality. The first landmarks of this mature style are the group of piano works published in 1907–1912 (the Elegies, the suite An die Jugend and the first two piano sonatinas) and Busoni's first completed opera, Die Brautwahl; together with the rather different Bach homage, the 1910 Fantasia contrappuntistica, Busoni's largest work for solo piano. About half an hour in length, it is essentially an extended fantasy on the final incomplete fugue from Bach's The Art of Fugue. It uses several melodic figures found in Bach's work, most notably the B-A-C-H motif. Busoni revised the work a number of times and arranged it for two pianos. Busoni also drew inspiration from North American indigenous tribal melodies drawn from the studies of Natalie Curtis, which informed his Indian Fantasy for piano and orchestra of 1913 and two books of solo piano sketches, Indian Diary. In 1917, Busoni wrote the one-act opera Arlecchino (1917) as a companion piece for his revision of Turandot as an opera. He began serious work on his opera Doktor Faust in 1916, leaving it incomplete at his death. It was then finished by his student Philipp Jarnach, who worked with Busoni's sketches as he knew of them. In the 1980s Antony Beaumont created an expanded and improved completion by drawing on material to which Jarnach did not have access; Joseph Horowitz has described the Beaumont completion as "longer, more adventurous and perhaps less good." In the last seven years of his life Busoni worked sporadically on his Klavierübung, a compilation of exercises, transcriptions, and original compositions of his own, with which he hoped to pass on his accumulated knowledge of keyboard technique. It was issued in five parts between 1918 and 1922 An extended version in ten books was published posthumously in 1925. Apart from his work on the music of Bach, Busoni edited and transcribed works by other composers. He edited three volumes of the 34-volume Franz Liszt Foundation's edition of Liszt's works, including most of the etudes, and the Grandes études de Paganini. 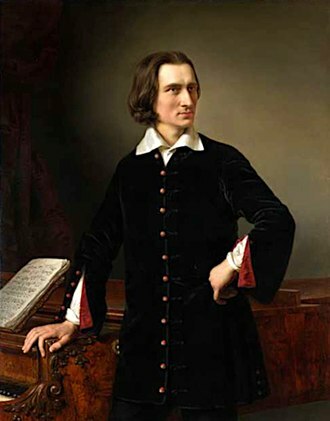 Other Liszt transcriptions include his piano arrangement of Liszt's organ Fantasy and Fugue on the chorale "Ad nos, ad salutarem undam" (BV B 59) (based on a theme from Giacomo Meyerbeer's opera Le Prophète) and concert versions of two of the Hungarian Rhapsodies. Busoni also made keyboard transcriptions of works by Mozart, Franz Schubert, Niels Gade and others in the period 1886–1891 for the publisher Breitkopf und Härtel. Later, during his earliest contacts with Arnold Schoenberg in 1909, he made a 'concert interpretation' of the latter's atonal Piano Piece, Op. 11, No. 2 (BV B 97) (which greatly annoyed Schoenberg himself). Busoni's own works sometimes feature incorporated elements of other composers' music. The fourth movement of An die Jugend (1909), for instance, uses two of Niccolò Paganini's Caprices for solo violin (numbers 11 and 15), while the 1920 piece Piano Sonatina No. 6 (Fantasia da camera super Carmen) is based on themes from Georges Bizet's opera Carmen. Busoni's output on gramophone record as a pianist was very limited, and many of his original recordings were destroyed when the Columbia Records factory burned down.[when?] Busoni mentions recording the Gounod-Liszt Faust Waltz in a letter to his wife in 1919. This recording was never released. He never recorded any of his own works. Busoni made a considerable number of piano rolls; a few of them have been re-recorded and released on vinyl LP and CD. These include a 1950 recording by Columbia sourced from piano rolls made by Welte-Mignon including music of Chopin and transcriptions by Liszt. The value of these recordings in ascertaining Busoni's performance style is a matter of some dispute. Many of his colleagues and students expressed disappointment with the recordings and felt they did not truly represent Busoni's pianism. Egon Petri was horrified by the piano roll recordings when they first appeared on vinyl and said that they were a travesty of Busoni's playing. Similarly, Petri's student Gunnar Johansen who had heard Busoni play on several occasions, remarked, "Of Busoni's piano rolls and recordings, only Feux follets (no. 5 of Liszt's Transcendental Études) is really something unique. The rest is curiously unconvincing. The recordings, especially of Chopin, are a plain misalliance". Busoni's impact on music was perhaps more through those who studied piano and composition with him, and through his writings on music, than through his compositions themselves, of whose style there are no direct successors. Alfred Brendel has opined: "Compositions like the monstrously overwritten Piano Concerto ... obstruct our view of his superlative late piano music. How topical still – and undiscovered – are the first two sonatinas... and the Toccata of 1921 ... Doktor Faust, now as ever, towers over the musical theatre of its time." Helmut Wirth has written that Busoni's "ambivalent nature, striving to reconcile tradition with innovation, his gifts as a composer and the profundity of his theoretical writings make [him] one of the most interesting figures in the history of 20th-century music." The Ferruccio Busoni International Piano Competition was initiated in Busoni's honour in 1949, to commemorate the 25th anniversary of his death. ^ The names were chosen by his father to reflect Dante Alighieri, Michelangelo Buonarrotti and Benvenuto Cellini; but "in later life, Ferruccio, feeling that all these names involved too formidable a responsibility", quietly dropped them. The spelling version 'Michelangelo' is sometimes found for his third given name; the spelling 'Michelangiolo' is given by (amongst others) Dent, who consulted with Busoni's wife and family in writing his life of the composer. ^ Busoni's attitude to Jews and antisemitism is somewhat ambiguous. 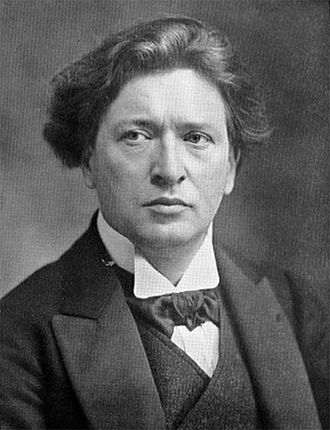 Busoni's great-great-grandfather on his mother's side was in fact half-Jewish (although he may not have been aware of this); Busoni used Jewish melodies to characterize a Jewish character in his opera Die Brautwahl; when during World War I Busoni took a stand against German aggression, Hans Pfitzner took the occasion to call his views "a manifestation of the international Jewish movement" against Germany; in 1920 Busoni referred to his pupil Kurt Weill as "a very fine Jew, who will certainly make his way". But in protest at German hyper-inflation in 1923, he rewrote for concert performance an aria from Das Brautwahl, "The Gruesome Tale of the Jew Coiner Lippold", and naïvely expressed surprise when performance was turned down on the grounds of its anti-Semitic implications. ^ Busoni's work was also included in a 25-volume comprehensive "Busoni Edition" of Bach's keyboard works, the other volumes of which were undertaken by Petri and Bruno Muggelini. ^ Busoni's concept of 'Young Classicism' (in his original German 'Junge Klassizität') should be distinguished from the later inter-war movement of Neoclassicism, although his interest in musical form may have influenced the latter. ^ Dent (1933), pp. 7—8. ^ Walker (1996), p. 367. ^ See section Opus numbers in this article. ^ Dent (1933), pp. 41–42. ^ Couling (2005), pp. 70–1. ^ Kogan (2010), p. 10. ^ Wis (1977), p. 251. ^ Wis (1977), p. 256. ^ Wis (1977), p. 255. ^ Wis (1977), pp. 267–269. ^ Wis (1977), p. 258. ^ Dent (1933), p. 86. ^ Wis (1977), pp. 259–261. ^ Taylor (2007), p. 218. ^ Wis (1977), p. 264. ^ Couling (2005), p. 128. ^ Dent (1933), pp. 115–117. ^ Beaumont (1987), pp. 53–54. ^ Couling (2005), p. 143. ^ Couling (2005), p. 352. ^ Kogan (2010), p. 101. ^ Couling (2005), p. 330. ^ Beaumont (1987), pp. 371, 374. ^ Couling (2005), pp. 148–149. ^ van Dieren (1935), p. 35. ^ Scholes (1947), p. 318. ^ Roberge (1996), p. 274. ^ Couling (2005), pp. 166–73, 183–188, 215–216. ^ van Dieren (1935), p. 44. ^ Dent (1933), p. 105, p. 113. ^ Beaumont (1985), p. 61. ^ Beaumont (1985), p. 76. ^ Beaumont (1985), p. 116. ^ Beaumont (1985), pp. 101, 148, 178. ^ Wirth (1980), p. 509. ^ Dent (1933), pp. 332–336. ^ Smith (2000), vol. 2, pp. 178—179. ^ Couling (2005), p. 192. ^ Dent (1933), pp. 125—128. ^ Dent (1933), pp. 160–161; Beaumont (1997), p. 91. ^ Couling (2005), p. 239. ^ Beaumont (1985), pp. 26–7, 208. ^ Dent (1933), pp. 197–198, 201–202. ^ Dent (1933), p. 203. ^ Dent (1933), pp. 205–225. ^ .Beaumont (1985), pp. 190–191. ^ Dent (1933), p. 229. ^ Beaumont (1985), p. 219, p. 240. ^ Dent (1933), p. 231–2. ^ Couling (2005), pp. 306–310. ^ Couling (2005), p. 292. ^ Dent (1933), pp. 240–247. ^ Beaumont (1987), pp. 300, 303. ^ Couling (2005), pp. 318–322. ^ Dent (1933), p. 264. ^ Dent (1933), pp. 265–271; Coulson (2005), p. 337. ^ Coulson (2005), pp. 335–336. ^ Coulson (2005), pp. 351–352. ^ Beaumont (1995), p. 311. ^ Coulson (2005), pp. 353–354. ^ Brendel (1976), p. 211. ^ Citations and comment from Scholes (1947), p. 318. ^ Dent (1933), p. 37. ^ Leichtentritt (1917), p. 76. ^ van Dieren (1935), p. 52. ^ Beaumont (1985), p. 42. ^ Brendel (1976), p. 208. ^ Dent (1933), p. 142. ^ Couling (2005), pp. 195–196. 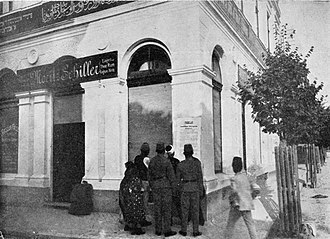 ^ Leichtentritt (1917). p. 79. ^ Dent (1933), pp. 152–153, p. 233. ^ Dent (1933), p. 348. ^ Beaumont (1985), pp. 375–376. ^ see Beaumont (1987), p. 111. ^ Dent (1933), pp. 318–319. ^ Leichentritt (1914), p. 88. ^ Busoni (1907), p. 11. ^ Hamilton (1998), pp. 66–67. ^ Beaumont (1985), p.137, p. 160. ^ Busoni (1911), p. 3. ^ Busoni (1911), p. 1. ^ Busoni (1911), p. 4. ^ Busoni (1911), p. 7. ^ Busoni (1911), p. 10—12. ^ See Brendel (1976), pp. 114—115. ^ Brendel (1976), p. 108. ^ Leichtentritt (1917), p. 95. ^ Beaumont (1985), pp. 160–176. ^ Beaumont (1985), pp. 190–203. ^ Beaumont (1985), pp. 349–352. ^ Beaumont (1985), p. 295, pp. 302–307. ^ Beaumont (1985), p. 377. ^ Leichtentritt (1917), p. 72. ^ See Beaumont (1997), pp. 314–318. ^ Beaumont (1985), pp. 152–153. ^ Beaumont (1985), pp. 275–277. ^ Sitsky (1986) p. 329. ^ Johansen, Gunnar (1979). "Busoni the pianist – in Perspective". The Piano Quarterly. 28: 46–47. ^ Brendel (1976), p. 118. Brendel, Alfred (1976). Musical Thoughts and After-Thoughts. London: Robson Books. ISBN 0-903895-43-9. Busoni, Ferruccio (1911). Sketch of a New Esthetic of Music. Translated by Th. Baker. New York: G. Schirmer. OCLC 13835974. Busoni, Ferruccio (1925). Klavierübung in zehn Büchern. Leipzig: Breitkopf und Härtel. Couling, Della (2005). Ferruccio Busoni: "A Musical Ishmael". Lanham, MD: Scarecrow Press. ISBN 0-8108-5142-3. Hamilton, Kenneth (1998). "The virtuoso tradition". In Rowland, David. The Cambridge Companion to the Piano. Cambridge: Cambridge University Press. pp. 57–74. ISBN 978-0-521-47986-8. Hamilton, Kenneth (2008). After the Golden Age. Oxford: Oxford University Press. ISBN 978-0-19-517826-5. Horowitz, Joseph (23 April 2000). "'Doktor Faust' Captures a Composer's Paradoxes". The New York Times. Retrieved 29 May 2016. Kogan, Grigory (2010). Busoni as Pianist. Translated by Svetlana Belsky. Rochester: University of Rochester Press. ISBN 978-1-58046-335-5. Leichtentritt, Hugo (1917). "Ferruccio Busoni as a Composer". The Musical Quarterly. 3 (1): 69–87. doi:10.1093/mq/iii.1.69. JSTOR 738005. Roberge, Marc-André (2015). Opus Sorabjianum. v. 1.13. Québec: Marc-André Roberge. Online book only. Accessed February 18, 2016. Scholes, Percy A. (1947). The Mirror of Music 1844–1944. London: Novello and Company. OCLC 634410668. Taylor, Philip S. (2007). Anton Rubinstein: A Life in Music. Bloomingdale and Indianapolis: Indiana University Press. ISBN 978-0-253-34871-5.
van Dieren, Bernard (1935). Down among the Dead Men. London: Humphrey Milford (Oxford University Press). OCLC 906126003. Walker, Alan (1996). Franz Liszt. Volume 3: The Final Years 1861–1880. New York: Alfred A. Knopf. ISBN 978-0-394-52542-6. Wirth, Helmut (1980). "Busoni, Ferruccio (Dante Michelangelo Benvenuto)". The New Grove Dictionary of Music and Musicians. 3. London: Macmillan. pp. 508–512. ISBN 0-333-23111-2. Roberge, Marc-André. Ferruccio Busoni: A Bio-Bibliography. Bio-Bibliographies in Music, no. 34. New York, Westport, Conn., and London: Greenwood Press, 1991. The Piano Quarterly, no. 108 (Winter 1979–80) is a special Busoni issue containing, among other articles, interviews with Gunnar Johansen and Guido Agosti. Wikimedia Commons has media related to Ferruccio Busoni. Jean Sibelius, born Johan Julius Christian Sibelius, was a Finnish composer and violinist of the late Romantic and early-modern periods. The core of his oeuvre is his set of seven symphonies which, like his major works, continue to be performed and recorded in his home country. His other best-known compositions are Finlandia, the Karelia Suite, Valse triste, the Violin Concerto, the choral symphony Kullervo, throughout his career, the composer found inspiration in nature and Nordic mythology, especially the heroic legends of the national epic, the Kalevala. Although he is reputed to have stopped composing, he attempted to continue writing, including abortive efforts on an eighth symphony, in life, he wrote Masonic music and re-edited some earlier works while retaining an active but not always favourable interest in new developments in music. The Finnish 100 mark note featured his image until 2002, when the euro was adopted, since 2011, Finland has celebrated a Flag Day on 8 December, the composers birthday, known as the Day of Finnish Music. In 2015, the 150th anniversary of the birth, a number of special concerts and events were held. Sibelius was born on 8 December 1865 in Hämeenlinna in the Grand Duchy of Finland and he was the son of the Swedish-speaking medical doctor Christian Gustaf Sibelius and Maria Charlotta Sibelius née Borg. The family name stems from the Sibbe estate in Eastern Uusimaa which was owned by his paternal great-grandfather, Sibeliuss father died of typhoid in July 1868, leaving substantial debts. As a result, his mother—who was again pregnant—had to sell their property and move the family into the home of Katarina Borg, her widowed mother, who lived in Hämeenlinna. Sibelius was therefore brought up in a decidedly female environment, the only male influence coming from his uncle, Pehr Ferdinand Sibelius and it was he who gave the boy a violin when he was ten years old and encouraged him to maintain his interest in composition. For Sibelius, Uncle Pehr not only took the place of a father, from an early age, Sibelius showed a strong interest in nature, frequently walking around the countryside when the family moved to Loviisa on the coast for the summer months. In his own words, For me, Loviisa represented sun, Hämeenlinna was where I went to school, Loviisa was freedom. It was in Hämeenlinna, when he was seven, that his aunt Julia was brought in to give him piano lessons on the familys upright instrument and he progressed by improvising on his own, but still learned to read music. He turned to the violin, which he preferred and he participated in trios with his elder sister Linda on piano, and his younger brother Christian on the cello. Furthermore, Sibelius often played in quartets with neighboring families, adding to his experience in chamber music, fragments survive of his early compositions of the period, a trio, a piano quartet and a Suite in D Minor for violin and piano. Around 1881, he recorded on paper his short pizzicato piece Vattendroppar for violin, in 1881, he started to take violin lessons from the local bandmaster, Gustaf Levander, immediately developing a particularly strong interest in the instrument. Despite such success as an instrumentalist, he chose to become a composer. A pianist is an individual musician who plays the piano. Most forms of Western music can make use of the piano, pianists have a wide variety of repertoire and styles to choose from, including traditionally classical music, Jazz and all sorts of popular music, including rock music. Most pianists can, to an extent, play other keyboard-related instruments such as the synthesizer, celesta. Perhaps the greatest pianist of all time was Franz Liszt, whose mastery was described by Anton Rubinstein, In comparison with Liszt. Modern classical pianists dedicate their careers to performing, teaching, researching as well as learning new works/expanding their repertoire and they generally do not write or transcribe music as pianists did in the 19th century. Some classical pianists might specialize in accompaniment and chamber music while others perform as full-time piano soloists. Mozart could be considered the first concert pianist as he performed widely on the piano, composers Beethoven and Clementi from the classical era were famed for their playing, as were, from the romantic era, Brahms, Chopin and Rachmaninoff. 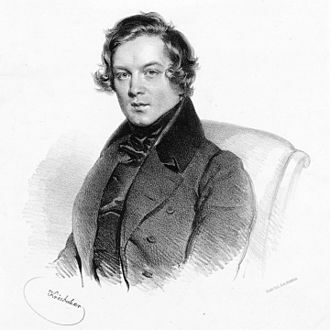 From that era, leading performers less known as composers were Clara Schumann, however, as we do not have modern audio recordings of most of these pianists, we rely mainly on written commentary to give us an account of their technique and style. Jazz pianists almost always perform with other musicians and their playing is freer than that of classical pianists and they create an air of spontaneity in their performances. They generally do not write down their compositions, improvisation is a significant part of their work, well known Jazz pianists include Art Tatum, Duke Ellington, Thelonious Monk, Oscar Peterson and Bud Powell. Popular pianists might work as performers, session musicians, arrangers most likely feel at home with synthesizers. A single listing of pianists in all genres would be impractical, the following is an incomplete list of such musicians. As a result, there are prominent communities of amateur pianists all over the world play at quite a high level and give concerts just because of their love to music. Franz Liszt was a prolific 19th-century Hungarian composer, virtuoso pianist, music teacher, organist, author, nationalist and a Franciscan tertiary. Liszt gained renown in Europe during the nineteenth century for his prodigious virtuosic skill as a pianist. As a composer, Liszt was one of the most prominent representatives of the New German School and he left behind an extensive and diverse body of work in which he influenced his forward-looking contemporaries and anticipated many 20th-century ideas and trends. Franz Liszt was born to Anna Liszt and Adam Liszt on October 22,1811, in the village of Doborján in Sopron County, in the Kingdom of Hungary, Liszts father played the piano, violin and guitar. He had been in the service of Prince Nikolaus II Esterházy and knew Haydn, Hummel, at age six, Franz began listening attentively to his fathers piano playing and showed an interest in both sacred and Romani music. Adam began teaching him the piano at age seven, and Franz began composing in an elementary manner when he was eight and he appeared in concerts at Sopron and Pressburg in October and November 1820 at age 9. After the concerts, a group of wealthy sponsors offered to finance Franzs musical education in Vienna, There Liszt received piano lessons from Carl Czerny, who in his own youth had been a student of Beethoven and Hummel. 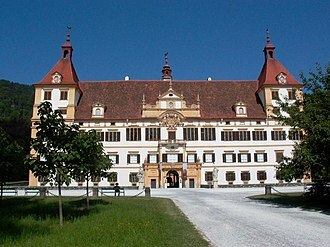 He received lessons in composition from Antonio Salieri, director of the Viennese court. Liszts public debut in Vienna on December 1,1822, at a concert at the Landständischer Saal, was a great success and he was greeted in Austrian and Hungarian aristocratic circles and met Beethoven and Schubert. In spring 1823, when his one-year leave of absence came to an end, Adam Liszt therefore took his leave of the Princes services. At the end of April 1823, the returned to Hungary for the last time. At the end of May 1823, the family went to Vienna again, towards the end of 1823 or early 1824, Liszts first composition to be published, his Variation on a Waltz by Diabelli, appeared as Variation 24 in Part II of Vaterländischer Künstlerverein. Liszts inclusion in the Diabelli project—he was described in it as an 11 year old boy, born in Hungary—was almost certainly at the instigation of Czerny, his teacher, Liszt was the only child composer in the anthology. The Piano Concerto No.24 in C minor, K.491, is a concerto composed by Wolfgang Amadeus Mozart for keyboard and orchestra. 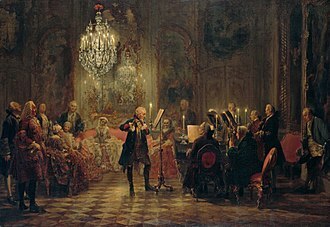 Mozart composed the concerto in the winter of 1785–1786, finishing it on 24 March 1786, as Mozart intended to perform the work himself, the soloists part was not fully written down. The premiere was in early April 1786 at the Burgtheater in Vienna, chronologically the work is the twentieth of Mozarts 23 original piano concertos. The work is one of only two minor-key piano concertos that Mozart composed, the other being the No.20 in D minor. None of Mozarts other piano concertos features an array of instruments. The concerto consists of three movements, the first, Allegro, is in sonata form and is longer than any opening movement of Mozarts earlier concertos. The second movement, Larghetto, is in the major of E-flat. The final movement, returns to the key of C minor. The work is one of Mozarts most advanced compositions in the concerto genre and its early admirers included Ludwig van Beethoven and Johannes Brahms. Musicologist Arthur Hutchings considered it to be Mozarts greatest piano concerto, Mozart composed the concerto in the winter of 1785–86, during his fourth season in Vienna. It was the third in a set of three concertos composed in quick succession, the others being No.22 in E-flat major and No.23 in A major. 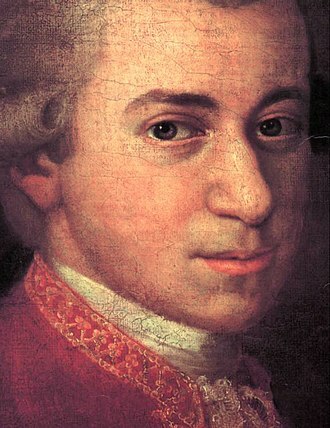 Mozart finished composing the No.24 shortly before the premiere of his comic opera The Marriage of Figaro, although composed at the same time, the two works contrast greatly, the opera is almost entirely in major keys while the concerto is one of Mozarts few minor-key works. The pianist and musicologist Robert D. Levin suggests that the concerto may have served as an outlet for an aspect of Mozarts creativity at the time he was composing the comic opera. 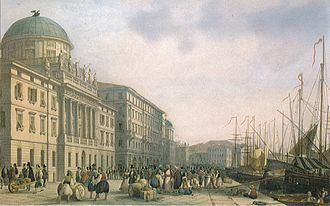 The premiere of the concerto was on either 3 or 7 April 1786 at the Burgtheater in Vienna, Mozart featured as the soloist, in 1800, Mozarts widow Constanze sold the original score of the work to the publisher Johann Anton André of Offenbach am Main. The Piano Concerto in C major, Op.39, by Ferruccio Busoni, is one of the largest works ever written in this genre. The first performance of the concerto took place in the Beethoven-Saal, Germany, on November 10,1904, Busoni was the soloist, with Karl Muck conducting the Berlin Philharmonic Orchestra and the Choir of the Kaiser Wilhelm Memorial Church. The reviews were mixed, some being filled with outright hostility or derision. 6, Op.192 by Henri Herz which have a choral finale, Busoni intended to dedicate the concerto to his friend William Dayas, but he died in 1903. His daughter Karin Dayas gave the first American performance of the concerto in 1932, although the five movements are laid out separately in the score, Busoni stated that the concerto should be played as a continuous whole, without breaks. Prologo e Introito, dolce e solenne II, pezzo serioso, Andante sostenuto Prima pars, quasi adagio Altera pars, Sommessamente Ultima pars, a tempo IV. There are two cadenzas to this movement – one, included in the score, the other. The final movement, Cantico with male chorus, brings full circle many themes that have been earlier in the work. The words sung by the chorus are from the scene of Oehlenschlägers verse drama Aladdin. The concerto is scored for a large orchestra, apart from the immense demands required of the soloist and the large forces needed, there is a further difficulty that can affect performances of this work, the role of the soloist. As Busoni himself wrote, piano concertos tended to be modelled after either Mozart or Beethoven, in Mozarts case, the concerto centres around the spotlit virtuoso composer-performer, who appears to spontaneously create the work before us, on-stage. The orchestra mostly provides a background accompaniment, but with Beethoven, the work is often conceived in symphonic terms, the piano takes the secondary role, reflecting on or responding to ideas that have already been introduced by the orchestra. Busoni combined both these precedents in the Piano Concerto, Op.39, creating a work of symphonic proportions which was originally accused of having only a piano obbligato. In psychology research literature, the term child prodigy is defined as a person under the age of ten who produces meaningful output in some domain to the level of an adult expert performer. Child prodigies are rare, and, in domains, there are no child prodigies at all. Prodigiousness in childhood does not always predict adult eminence, the term Wunderkind is sometimes used as a synonym for prodigy, particularly in media accounts. Wunderkind is used to recognize those who achieve success and acclaim early in their adult careers, PET scans performed on several mathematics prodigies have suggested that they think in terms of long-term working memory. This memory, specific to a field of expertise, is capable of holding relevant information for extended periods, the PET scans answer questions about which specific areas of the brain associate themselves with manipulating numbers. One subject never excelled as a child in mathematics, but he taught himself algorithms and tricks for calculatory speed and his brain, compared to six other controls, was studied using the PET scan, revealing separate areas of his brain that he manipulated to solve the complex problems. Some of the areas that he and presumably prodigies use are brain sectors dealing in visual and spatial memory, as well as visual mental imagery. Other areas of the brain showed use by the subject, including a sector of the brain related to childlike finger counting. Citing extensive imaging evidence, Vandervert first proposed this approach in two publications appeared in 2003. In addition to imaging evidence, Vanderverts approach is supported by the award winning studies of the cerebellum by Masao Ito. Some researchers believe that prodigious talent tends to arise as a result of the talent of the child. Others believe that the environment plays the dominant role, many times in obvious ways, but on the other hand George Frideric Handel was an example of the natural talent. He had discovered such a strong propensity to music, that his father who intended him for the study of the Civil Law, had reason to be alarmed. He strictly forbade him to meddle with any musical instrument but Handel found means to get a little clavichord privately conveyd to a room at the top of the house, to this room he constantly stole when the family was asleep. Singing and percussion are the most important aspects of traditional Native American music. Vocalization takes many forms, ranging from solo and choral song to responsorial, percussion, especially drums and rattles, are common accompaniment to keep the rhythm steady for the singers, who generally use their native language or non-lexical vocables. Native American song texts include both public pieces and secret songs, said to be ancient and unchanging, which are used for only sacred and ceremonial purposes. There are public sacred songs, as well as ritual speeches that are perceived as musical because of their use of rhythm. These ritual speeches often directly describe the events of a ceremony, vocables, or lexically meaningless syllables, are a common part of many kinds of Native American songs. They frequently mark the beginning and end of phrases, sections or songs themselves, often songs make frequent use of vocables and other untranslatable elements. Songs that are translatable include historical songs, like the Navajo Shi naasha, tribal flag songs and national anthems are a major part of the Native American musical corpus, and are a frequent starter to public ceremonies, especially powwows. Native American music includes a range of songs, dancing songs and popular American or Canadian tunes like Amazing Grace, Jambalaya. Many songs celebrate harvest, planting season or other important times of year, Native American music plays a vital role in history and education, with ceremonies and stories orally passing on ancestral customs to new generations. Native American ceremonial music is said to originate from deities or spirits. Rituals are shaped by every aspect of song and costuming, Native Americans perform stories through song and dance, and the historical facts thus propagated are an integral part of Native American beliefs. Epic legends and stories about culture heroes are a part of music traditions. They can vary slightly from year to year, with leaders recombining and introducing slight variations, the Pueblo compose a number of new songs each year in a committee which uses dreams and visions. The styles and purposes of music vary greatly between and among each Native American tribe, however, a common concept amongst many indigenous groups is a conflation of music and power. Adolf Paul cabinet card, Helsinki, Finland. Axel Gallen-Kallela's Sibelius portrait with Sibelius' dedication to Natalie Paul (wife of Adolf Paul). Natalie Brehmer in the late 1890s. Edison Bell Velvet Face (VF) recording No. 676 (part 1): Marie Novello's performance of Tausig's arrangement of BWV 565. The VF series ran from 1922 to 1927. The concerto was premiered at the Burgtheater (pictured) in Vienna. Memorial for Goldmark in Vienna.